The development of Education Techology or Edtech industry in Indonesia recent years shows a positive trend. Based on Forbes market and research, the industry is predicted to grow to 325 billion US dollars by 2025 globally. Meanwhile, Edtech's growth position in Indonesia itself is at the fastest growth rate with a figure reaching 25% annually, more than any other country in Asia, even the whole world. Quipper Indonesia Founding Member and Country Manager Takuya Homma was very enthusiastic about welcoming the positive trend. According to him, the current conditions are far different than in 2015, when Quipper still had to struggle to educate the public about the importance of e-learning. At present, the level of public awareness is high and positive trend is evident from the presence of many new developers in the technology education segment. According to EdTechReview, the promising trend of Edtech's growth will continue in 2019, including augmented reality (AR), personalized learning, artificial intelligence (AI), hybrid learning and gamification. AR (augmented reality) is a technology that combines two-dimensional and or three-dimensional virtual objects into a real environment. Personalized learning or individual teaching is a learning method that refers to efforts to adjust education personally according to the needs of students. Hybrid learning is a further development of e-learning methods where learning methods integrate between e-learning systems with conventional or face-to-face methods. In daily language, the term "artificial intelligence" is applied when machines mimic "cognitive" humans such as "learning" and "problem solving". While gamification is the use of game design techniques, thinking games and mechanical games to improve non-game context, including learning. Several edtech companies in Indonesia have implemented these thing. But in reality, the implementation becomes less optimal if the main problems, including infrastructure, have not been resolved. From the results of Kompas.com discussion with Wisnu Subekti and Sabda Subekti, educational observers and also the founder of Zenius technology-based learning media some time ago, problems of children education in Indonesia is still a big task that needs to be completed. 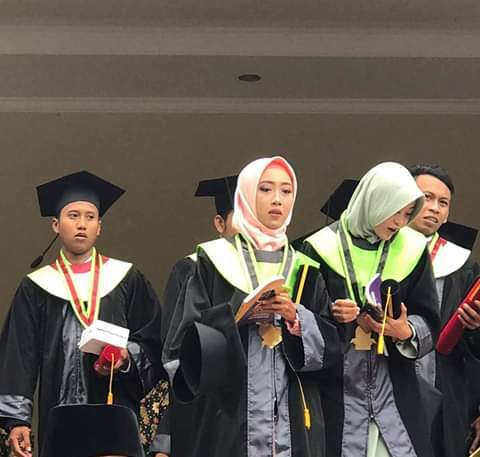 PISA (Program for International Student Assessment) initiated by the Organization for Economic Co-Operation Development (OECD) routinely maps education in Indonesia. Indonesia joined PISA since 2000. The PISA exam is conducted every three years for students aged 15 years (equivalent to junior high school class II or III). PISA focuses on testing three lessons; science, mathematics, and reading. So, what is the condition of education in Indonesia? The results of PISA exam in 2012, 76% of Indonesian students who took the test could not reach level 2 in answering the questions. Only two questions were given, the majority of our students failed. Compared to other countries, such as ASEAN countries, Indonesia is among those at the lowest level of the PISA version. Compared with neighboring countries, such as Malaysia, the level 2 graduation rate reaches 48%. Even Vietnam whose GDP is below Indonesia has a graduation rate of up to 86%. While Indonesia is only 24%. Since taking the test in 2010, Indonesia has always been ranked in the bottom 10 of 72 countries surveyed. The performance of Indonesian students on the PISA test is not the only one that is worrying. The OECD also tests the adult population through the PIAAC (Program for the International Assessment of Adult Competencies) test, and it turns out the results are astounding. Scholars in Jakarta have literacy skills that are no better than high school graduates throughout the participating countries. Not just a curriculum that must be replaced. However, in terms of teachers and how to teach must also change. In this case, we cannot blame children at all. Educators in teaching children often use the 'quick way' to work on the problem. Unfortunately, they do not include understanding the concepts of each question given. In the end, what happens is that children only memorize questions and formulas but do not understand the context. One of the basic problems according to the Sabda is the still low basic abilities of our children. Based on the reading competency test, 70% of students aged 15-26 years in Jakarta do not reach level 1 or below 1. In fact, Level 1 only understand written sentences that are appropriate or not. If the basic skills are just lacking, including reading, basic mathematics, and science, then the logic will be problematic. In fact, logic is closely related to the democratic process of a country so that this nation is not easily divided due to hoaxes and slander. The next fundamental problem is access to education. Not on the difficulty of access. But precisely now information access is increasingly easy and broad. But it needs to be understood, if access is good, but the content is only 'poison', then people will be poisoned. So that it doesn't happen, Sabda emphasizes the importance of content to sharpen the brain and logic. Access is important, but content is more important. Sabda and Wisnu then saw that technology-based education which is currently growing can be an alternative solution to the current deadlock in education problems. Technology-based education promotes great learning experiences or cool learning experiences in accordance with the character of millennial children. When children like and 'addicted', learning is no longer seen as a burden. Second, technology-based education (EdTech) can build logic and science literacy. It is far more important to form a logical mindset. Scientific literacy through technology-based education is how one obtains a reliable methodology of truth. The third advantage of this technology-based education is the planned and complete learning process. In contrast to conventional classroom system, children find it difficult to catch up in learning because the 'pursuit' of curriculum targets. With technology, children are allowed to pursue lagging lessons and fully understand the education they are taking. So, digital services in the field of education or education technology (EdTech) are considered high potential in Indonesia. When compared with startup companies of e-commerce, on-demand transportation, or even fintech companies, startups that are engaged in the education technology sector in Indonesia are rarely reported to have achieved fantastic amounts of funding. But their existence is real. Some of them have offered education services online for many years, such as Zenius which has been established since 2004. It's just that the EdTech industry is still trying hard to take the opportunities that exist in the world of Indonesian education. Problems such as limited material, not many learning classes until education management is still a major problem which also means there is still an opportunity to provide solutions. In the last two years educational startups have grown, but not as fast as other industries that also use technology. Edtech services are actually divided into several types or categories. Examples are providers of online learning materials, technology platforms that bridge teachers and students, solutions for teacher-student-parent communication and collaboration, or asking platforms to make it easier to do assignments or homework. In general, each category has the same obstacles. Just like many new businesses in many other sectors, the first task edtech services have to face is to introduce the solutions they offer to potential users. Whether it's a company, a school institution, or an educational institution (B2B) or a teacher, students and parents (B2C). All have problems to introduce to each prospective user. For B2B businesses, the ability to enter schools, universities or learning institutions is the first thing. Furthermore, they must be able to ensure their services are of high quality and have a number of features that are needed. In some cities the possibility of schools, universities, or learning institutions already has a self-developed learning platform. If the edtech product offered is a learning platform, it must be found to be different. For this case, the education is about the advantages offered. While those who are targeting to digitize the conventional educational process, the task is even tougher. There are several aspects that become obstacles, for example teachers who are comfortable learning in the old way or those who have not fully mastered the use of technology. Students and parents here act as followers, so teachers play an important role in the success of this segment. The B2C sector has different challenges. For example, there are those who interpret good services or applications that can help with homework or good edtech services are services that help them understand a problem. There are still many who think that good education is those who can deliver to favorite schools at a higher level. The difference in the perspective of students or parents about the success of education is also an area that must be addressed. Procurement of trials, seminars or other businesses can open people's views on educational technology solutions. The presence of technology brings a number of changes in terms of how to learn. Long-distance classes, on-demand content in the form of videos are also found. 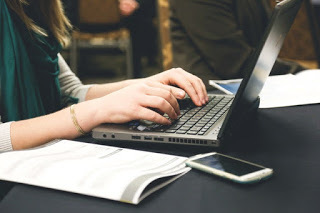 The problem arises when the content or learning methods offered by edtech service providers only work for some people because the models and ways of learning in society are generally different. To recognize the learning model is very important. At present there are many forms of content or ways of learning, for example with video on demand that have been compiled per section in accordance with the curriculum, face to face with the teacher or group / class, or presentation of material / other learning processes. What is still lacking is habituation, including the awareness that learning is not a matter of what to face at school or college, but can be many things. Before before online transportation and online shopping services were known in the community, many people were afraid or hesitant to transact. Now an increasingly savvy market has become a momentum for edtech service providers to be able to change and direct ways to learn to use technology and work together. Takuya Homma said, "Uneven education infrastructure is a challenge that we must face together. Collaboration is the key to overcoming this. " Takuya added, regarding this matter, he throughout 2018 had collaborated with 175 provincial, city and regency education offices, as well as several private parties such as Indosat, Samsung and Koinworks to optimize the distribution of education in Indonesia. In the future, Quipper focuses on learning processes, not just learning outcomes. Quipper believes that good learning and quality will give the best results. In addition, Takuya also stated that currently Quipper is conducting research to develop the latest services that have never existed in Indonesia, without mentioning the details of the latest services. Entering the 4th years Quipper in Indonesia as a pioneer of online-based educational video service said that currently it has been used by more than 8,500 schools in 34 provinces in Indonesia, used by 350,000 teachers and more than 5 million users consisting of middle and high school students in Indonesia.